Today’s economy can be challenging for paralegals. Make sure you’re taking the right steps to advance your career. 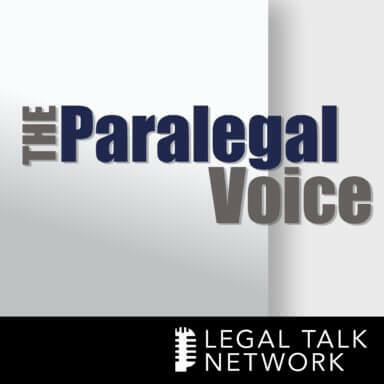 On this episode of the Paralegal Voice, host Vicki Voisin interviews future President of NALS Karen McElroy. Together they discuss what you should be doing as a paralegal to get ahead and stay ahead in this job market. Karen McElroy will become the President of NALS at the end of February 2014. She has been working in law since 1981 in a multitude of capacities including legal secretary, legal assistant, and paralegal. Karen is a veteran of the U.S. Air Force and Ohio Air National Guard.